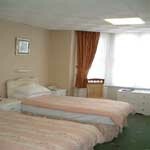 Southampton Bed and Breakfast in Southampton - Hunters Lodge Bed and Breakfast in Southampton, UK: Conveniently situated family run business for Southampton City and all its amenities. We are located in a quiet residential district yet within easy accessibility of the city centre. Our double fronted Victorian house retains many original features which are enhanced by the furnishing styles within the public areas. Built in 1900 Hunters Lodge has operated as a hotel and guest house providing accommodation since 1926 and was extended to its present size in the 1970's and late1980's. 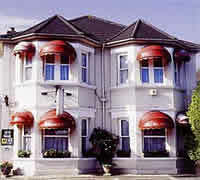 Whether your visit is for business or pleasure Hunters Lodge is conveniently situated for Southampton City Centre including the Guild Hall, Civic Centre, Mayflower Theatre, West Quay Shopping, Leisureworld, Ocean Village Marina, Docks, Ferry Port, Cruise Terminals, University and General Hospital. 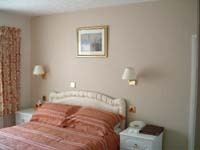 Bedrooms are comfortable and well equipped. In addition there is a spacious dining room and a lounge with a well stocked bar is available. Our cosy lounge bar, with its open fire in the winter, creates a warm friendly atmosphere for you to enjoy a drink, view television, or just simply relax with a good book. 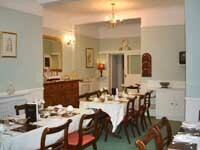 The dining room awaits you early in the morning for a complete breakfast. 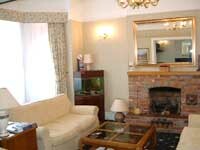 Ideal base for Winchester, Isle of Wight, New Forest and Hampshires beatiful countryside. Within easy walking distance of Southampton City Centre, West Quay shopping, Mayflower Theatre, Docks, Ferry and Cruise terminals, Hospital and University with Southampton mainline railway and Coach station being only 1 mile away.